Introduction. 1. Would Britain Starve? The Prewar Debate 2. Initial Responses to War: The Focus on Supply 3. An Uphill Struggle: Lord Selborne at the Board of Agriculture 4. Shipping and Prices: Incentives for control 5. The Ministry of Food 6. Labour and the New Consumerism 7. American Influence on British Food Policy: Herbert Hoover and the Inter-Allied Trading System 8. 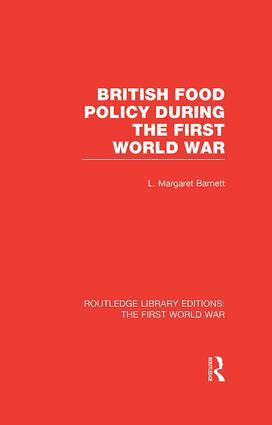 The Food Production Campaigns of 1917 and 1918 9. Afterword.